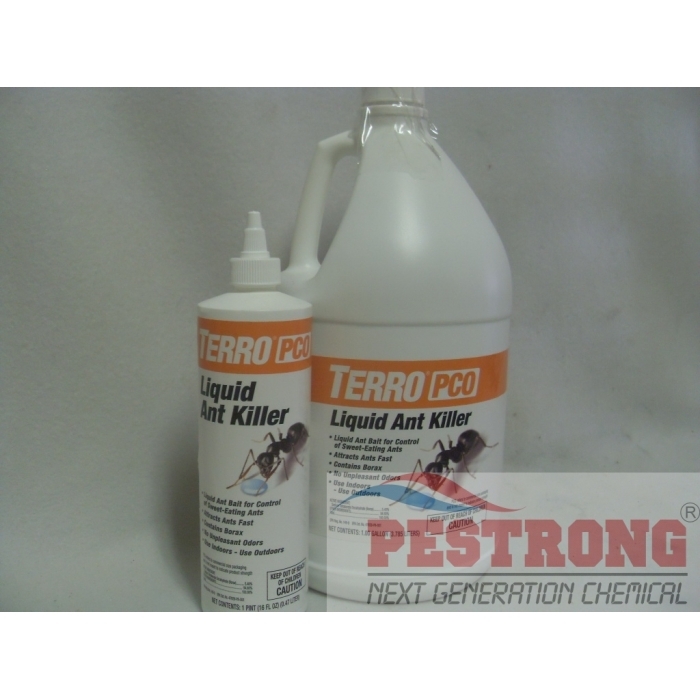 Where to Buy Terro Pco Liquid Ant Bait, Terro-PCO Liquid Ant Killer DominAnt - Pt - Gal - $15.95 for Sale with Fast Free Shipping! Terro-PCO Liquid Ant Killer DominAnt - Pt - Gal is the top selling liquid ant bait in the U.S.
Its super-sweet attractant instantly attracts ants, which flock to it in minutes. 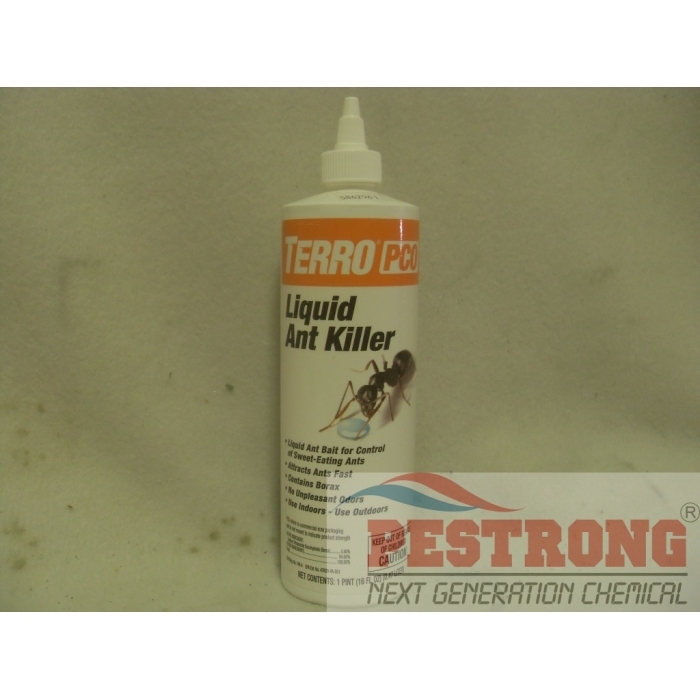 It controls and kills all common household ants and their colonies. Active ingredient is Borax 5.40%. 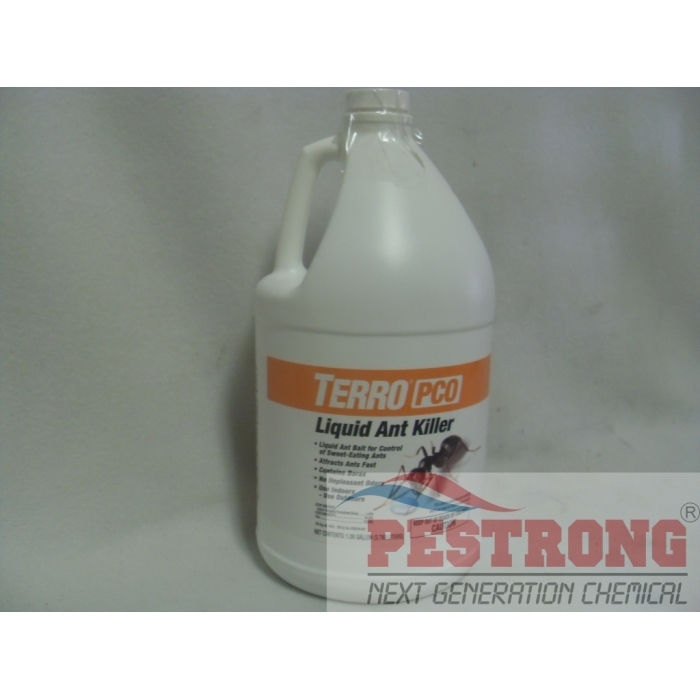 Can be diluted with water to 1% (5 oz / 25 oz of water) and 2% (10 oz / 20 oz of water) solution of active ingredient to increase volume for large infestations. Excellent bait concentrate. Easy custom made bait. I recommend for control ants.